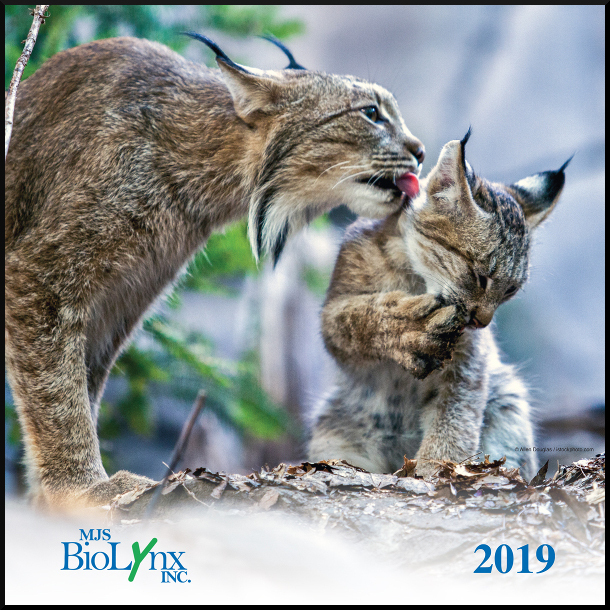 Our 2019 Lynx Calendar is Now Available! These innovative tubes are available in smaller pack sizes for a limited time to help you get started or to try hybrid tubes in your process. Click here for more information on Micronic Tubes. Promotion Package sizes are available until December 31st, 2018. Offer ends November 30th, 2018! Valid until November 30th, 2018. Limit 1 per customer, while quantities last. Special Introductory Pricing ends December 31st, 2018. We are also offering an additional 15% OFF this introductory pricing to make it even easier for you to try this new product in your lab! Click here for more information on Label IT® Products. Associates of Cape Cod, Inc. (ACC) is pleased to announce an exciting new initiative aimed at complementing their 45 year history of horseshoe crab conservation. ACC introduces a Horseshoe Crab Sustainability Project that will help ensure a stable supply of horseshoe crabs now and for future generations to come. Working with local regulators and having received a class 1 type 4 aquaculture permit and utilizing a patent pending process, ACC collects HSC eggs, fertilizes, grows and strategically releases horseshoe crabs back into their natural environment. This program only utilizes eggs collected from bait crabs that are sacrificed for the eel, conch and whelk fisheries, extending their genetic legacy for generations to come. Research labs and core facilities with high IHC work volumes are increasingly evaluating automated staining systems to help augment their processes and reduce labour commitments. These facilities are looking for flexibility in what reagents can be applied to the instruments as the demand for multiplex staining grows, and to meet research requirements with different species, xenograft and transgene tissues, and abnormal or tumorigenic specimens. Vector Laboratories conducted studies to evaluate the suitability of their ImmPRESS® HRP polymer reagent, ImmPACT® DAB substrate and associated IHC accessory components on three commercially available automated staining platforms. The studies were performed by a contracted independent third-party laboratory to eliminate potential bias, and staining assays were run in parallel with the vendor recommended reagents for each instrument. NuQuant® is a novel library quantification method that combines the benefits of qPCR with the speed and simplicity of fluorometry to accurately measure molar concentrations of NGS libraries. Library quantification with qPCR requires expensive reagents and standards, serial dilutions and a secondary Bioanalyzer® step, all of which add time and variability. NuQuant library quantification provides library molar concentration with a simple fluorescent measurement that does not require serial dilutions, additional reagents or secondary library analysis methods. NuQuant is integrated with select DNA and RNA sequencing library preparation kits allowing you to generate quantified libraries for balanced pooling and sequencing on Illumina® platforms in a single workflow. For the past two years, Anatrace has been telling us about the profound effect Cryo-EM has had on membrane protein structural biology. This impact has never been more obvious than in 2018, as 43 unique membrane protein structures have already been deposited as a result of using Cryo-EM – most of which are ion channels belonging to the TRP family. Needless to say, the use of Cryo-EM is helping set new records again this year. To help simplify the ever-expanding Cryo-EM world for you, they have updated their annual compilation table created to reflect the most recent structures of membrane proteins determined by Cryo-EM and the detergents and non-detergent systems used in those experiments. This provides you with greater insight into the novel and functional ways the most common detergents and lipids are being used in Cryo-EM studies. Click here to visit the MJSBioLynx Well Being website.